"A poem for a way of life!" That's what Max Ehrmann thinks anyway, and I agree. Again, it's an inspirational poem to me - it sums up self-help in a few hundred words. And if I could sum up Max Ehrman's famous poem in 2 words it would be these: Be Yourself! 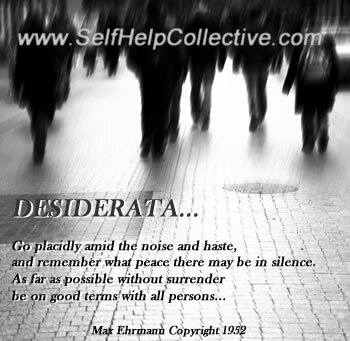 Share this Desiderata poem page - thanks!